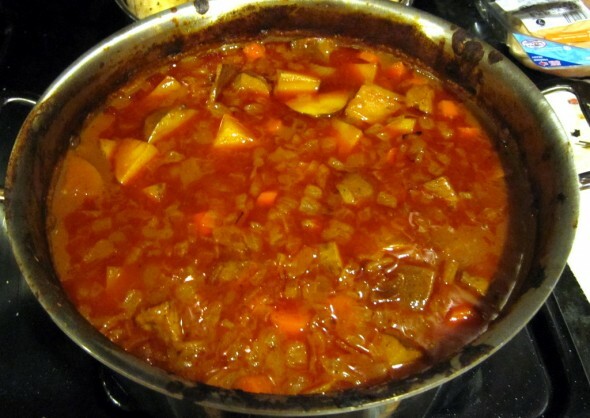 This was my go-to college recipe, invented by my mom and tweaked over the years. The best part of this recipe is the longer it cooks, the better it gets. It’s also so easy to adapt to whatever you have on hand. 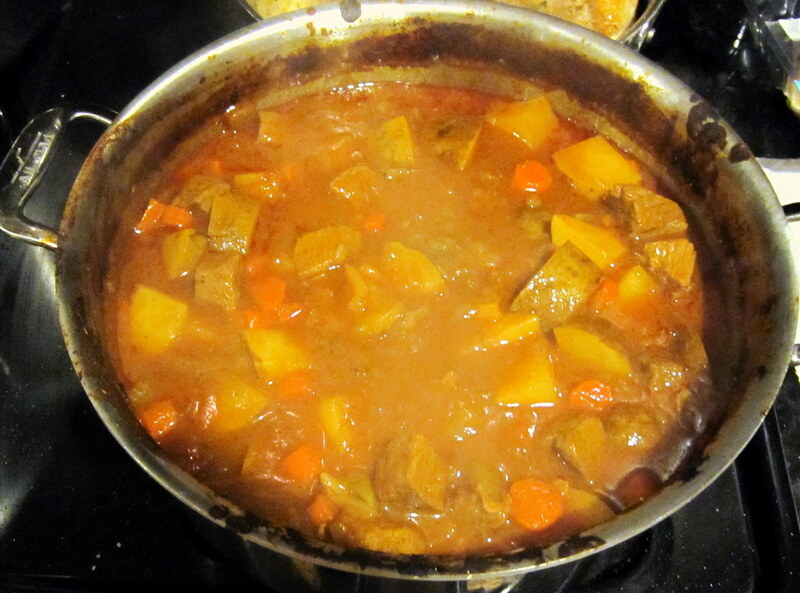 This big batch I made could easily feed 6 people. 2 lbs. beef round roast (or precut beef stew meat), cubed into bite-sized pieces. 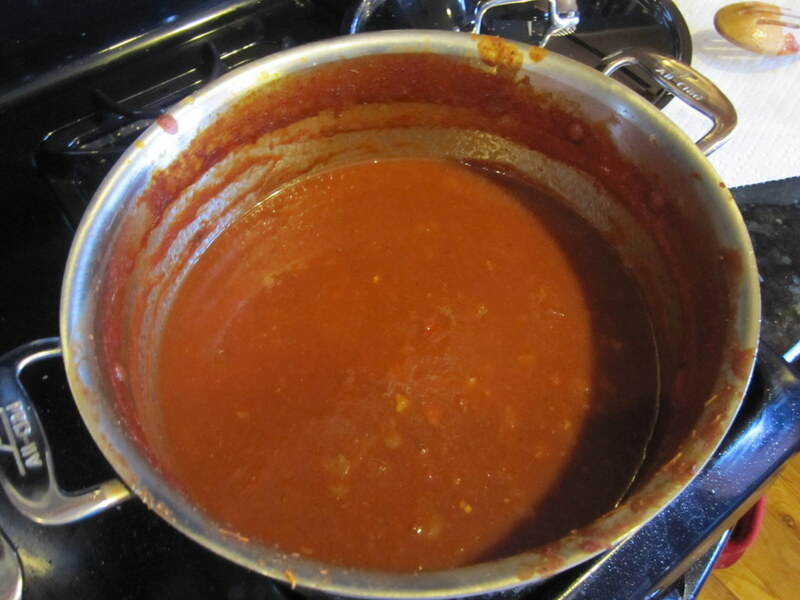 Melt 1 Tbsp butter over medium heat in a large skillet, or in a dutch oven if you want to make everything in one pot (I was also making a batch of marinara sauce, so I browned my beef separately and used the marinara pot for the stew after I’d canned most of the sauce). Brown half of the beef, then transfer to a bowl. Melt another Tbsp butter and brown the other half of the beef. 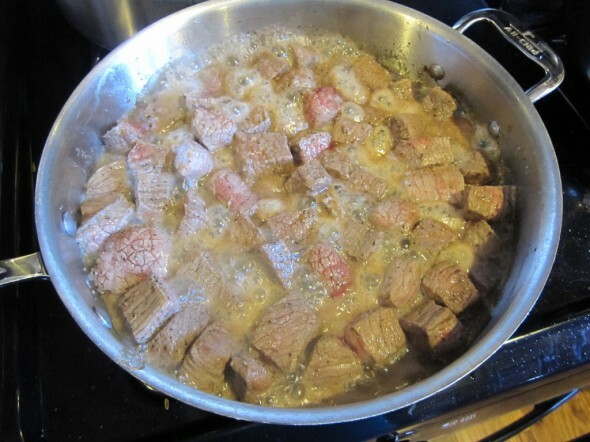 Transfer all the beef to a bowl and add another Tbsp of butter. Cook the onions until browning and translucent, about 5 minutes. 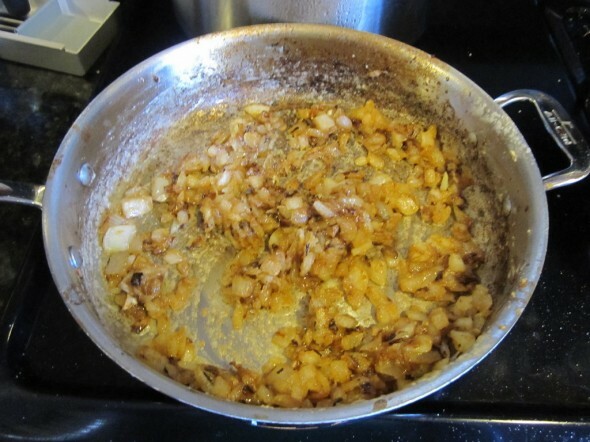 Add the garlic and cook 30 seconds until fragrant. 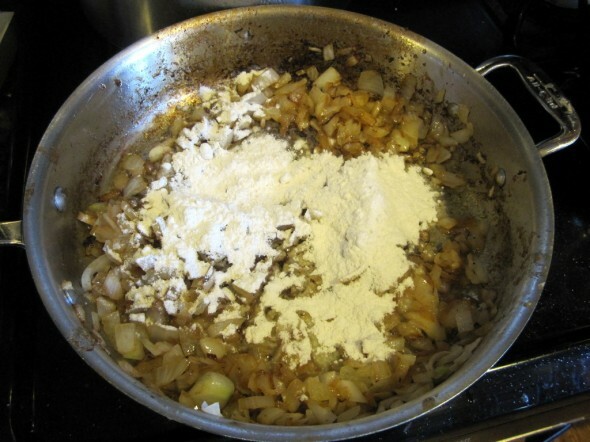 Add the flour to make a roux. Transfer to a large pot or dutch oven if you didn’t start out in that pot, and add everything else on the ingredients list. Cover and bake in the oven until the meat is fork tender, 2.5-3.5 hours. You can also put everything in your slow cooker and cook it all day if you want (I’ve done that, too, it’s delicious). 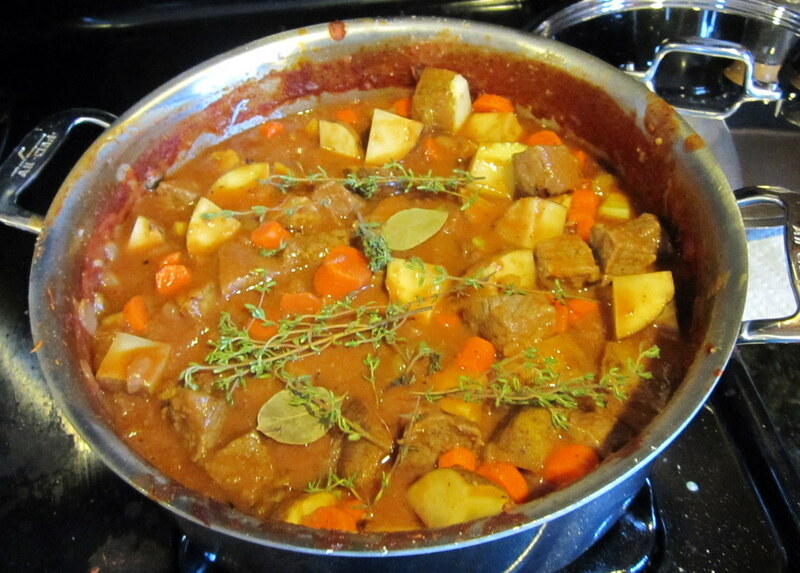 Remove from the oven, skim the fat off of the top, and remove the bay leaves and thyme twigs. Salt and pepper to taste. Serve with Pillsbury biscuits or crescent rolls, like my mom does. This will just get better as you reheat it, so it makes amazing leftovers. It’s one of the dishes I made during my cooking marathon before the arrival of Baby Reeve.